In less capable hands this new production of Sam Shepard’s True West could easily have descended into cheap melodrama. It is testament to the quality of not only Shepard’s script but also the blistering abilities of the actors and artistic team at the Citizens Theatre that it proves to be a sure-fire smash. Using sibling rivalry as a metaphor to highlight the vicissitudes of the American Dream, it explores how, regardless of what we appear to have on the surface, there’s always something that someone else has that we crave more. Younger brother Austin (Eugene O’Hare) is house-sitting in the sun-baked California home of his mother (Barbara Rafferty) whilst attempting to write a screenplay on which he believes the future of his career depends. Into this peaceful, creative idyll crashes older brother Lee (Alex Ferns), desert-dwelling drifter, drunk and petty thief. Whilst their relationship isn’t exactly Cain and Abel it certainly tests brotherly love to its limits. Each has something the other longs for: Lee craves the stability of home, family and a purpose, for Ivy League Austin it’s the freedom to escape the bounds of the daily grind and commitment to wife and kids and although never overtly stated, it is clear that each man is one half of the same whole. This duality, played out convincingly by the two leads, runs throughout the whole piece. When Lee manages to sell a movie pitch to the producer his brother has spent months courting, their already fragile relationship is tested to extremes. This is an examination of a relationship at its uneasiest, it’s most combative, teetering on a knife-edge throughout. There’s a temptation to play this broad and the actors do push the boundaries due to the extremity of the emotions involved, but to their credit both Ferns and O’Hare manage to keep it well within the bounds of (an albeit heightened) reality. The superb central performances from both Ferns and O’Hare provide a glorious master-class in stage acting. As Lee, Alex Ferns has found a role that fits like a glove. In a bravura performance replete with crazed eyes, extreme drinking, a bit of fire-starting and general swaggering menace, he manages to imbue the role with enough subtle nuances to retain an utter believability in his characterisation and deftly exploits the black humour in Shepard’s writing. The most compelling thing about his portrayal though, is the feeling of unease he manages to maintain throughout, there’s a vagueness, a feeling of disquiet, that never quite allows us to get a firm handle on him. Eugene O’Hare as Austin provides the perfect foil to the mercurial Lee; his journey from tightly controlled, cowed, little brother to man on the brink is utterly convincing and the interaction between the pair utterly seamless. Mention too must be made of the power of the well-placed pause, of which there are many, and which each actor handles masterfully; heightening the vicious menace and sense of fear that underlies the whole piece. Mention must also be made of the laughter; belly-laugh-out-loud, laughter elicited throughout. There are no tricks here, this is no radical re-invention of the work, instead a classic staging of this all-too relatable tale of family dynamics and the myth of the American Dream and it’s all the better for it. To its credit it resists the urge to wrap the whole thing up in a nice package for us and leaves the audience, as all good theatre should, wanting more. 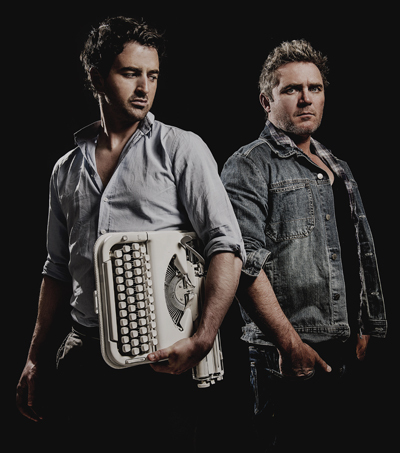 Explosive, exhilarating and electrifying, True West is true class.